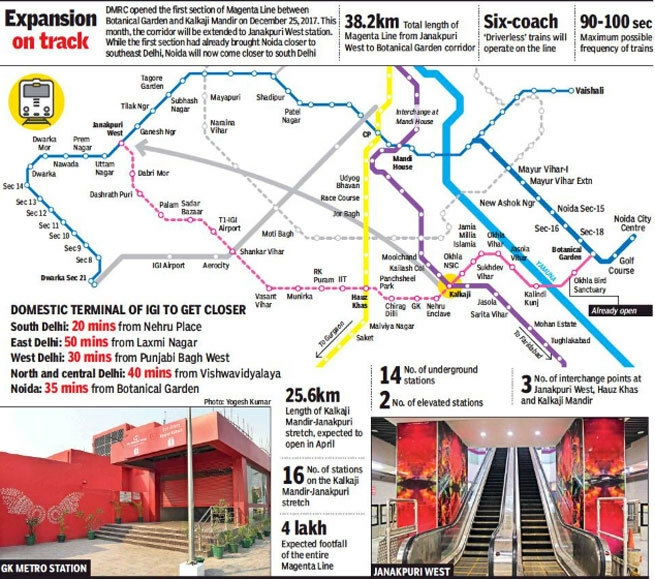 New Delhi: After getting safety clearance from Commissioner of Metro Railway Safety (CMRS) on Tuesday, the Delhi Metro Rail Corporation (DMRC) is set to open the remaining part of its Magenta Line between Kalkaji Mandir – Janakpuri West on 24 May 2018. 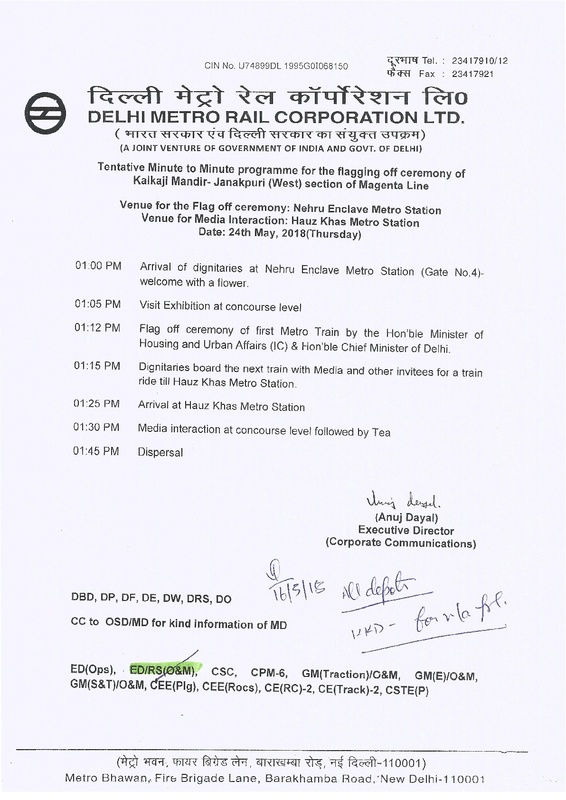 DMRC set tentative progarmme for flagging off ceremony of Kalkaji Mandir – Janakpuri (West) section of Magenta Line. According to the programme scheduled Union Minister of Housing & Urban Affairs (MoHUA) Hardeep Singh Puri and Delhi Chief Minister Arvind Kejriwal will jointly flag off the first train movement in section covering a long distance of 25.6 km. This section is part of Magenta Line (Line-8) which covering a total distance of 38.23km between Botanical Garden – Janakpuri corridor under Phase III project of DMRC. After opening of this section, metro passenger from Noida and South Delhi will be able to commute directly to the IGI Airport. This section will also cover the high density population area like Vihar, Munirka and RK Puram. DMRC is expecting increase in footfall of over 4 lakh daily passengers.